Motorola was kind enough to release the official changelog for the XOOM WiFi’s Ice Cream Sandwich (Android 4.0.3) update this afternoon. The push started last night for many, although according to our own Tato, not everyone is able to pull it. 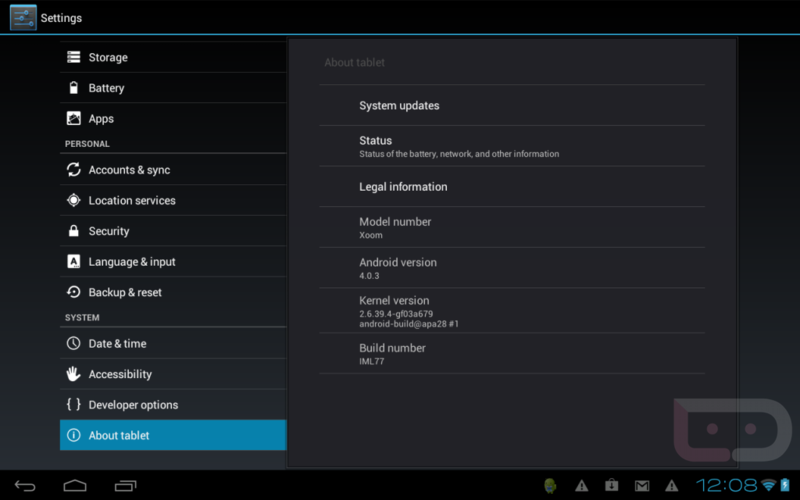 The update itself is, well, ICS. Once you read the changelog below, you will understand that this is as stock as it gets, which is a good thing. The updated browser, swiping of notifications and tasks, new People/Gallery/Camera apps, and improved typing and spell-checking are all included.